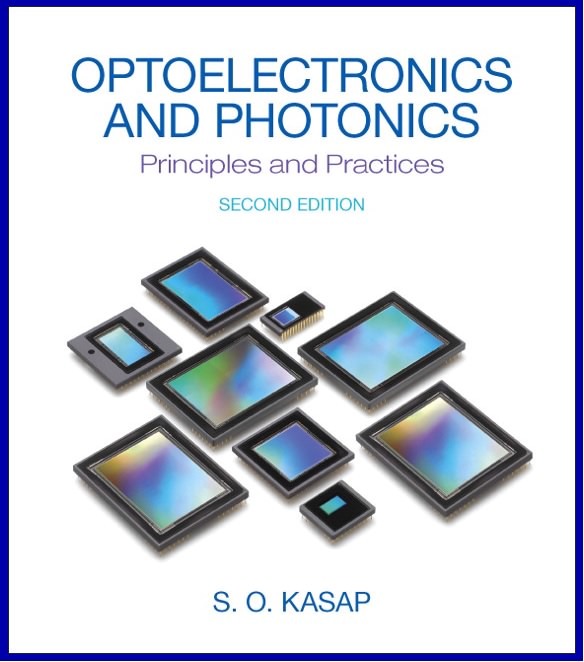 Second Edition: Optoelectronics and Photonics: Principles and Practices is a totally overhauled, revised, modernized version of the original book. Just about every section has been rewritten, and numerous new topics have been introduced to modernize the text. In addition, numerous new solved problems, and chapter-end problems have been added. The second edition continues to be an introductory up-to-date textbook in optoelectronic and photonic devices suitable for a half or one semester course at the undergraduate level in electrical engineering, engineering physics and materials science and engineering departments. Although written for undergraduate students, it can also be used at the graduate level as an introductory course by including some of the selected topics. It assumes that the students have covered calculus and complex numbers and would have taken a basic course in semiconductors, that is, be familiar with basic energy band diagrams. The principles are developed with the minimum of mathematics and with the emphasis on physical concepts. There are numerous solved problems and worked examples to relate the concepts to practical devices. Minor errata in first printing. Instructors teaching Optoelectronics/Photonics in USA can request and examination copy.